On April 25, 2014, after a lengthy illness, our family sadly said goodbye to Tony at the age of 68. Tony never dwelled on any hardship, just bit down harder and persevered. He was exceedingly kind and good natured, facing life’s twists and turns with patience and calm. After moving to Canada from England in 1969 with his beloved wife, Carol, and two sons in tow, the couple settled in Winnipeg and added a daughter to the family. Tony believed in earning his keep and founded Sussex Electric, a successful business still thriving today. He loved soccer and was a life-long supporter of his favourite team, Arsenal, in the English Premier League. He’d spend Saturdays watching the club play win, lose or draw. His love of the sport extended to coaching, and he spent many years on the pitch at Gateway Community Centre. Tony discovered hockey when he moved to Winnipeg and quickly embraced it, regularly watching his Jets play as a season-ticket holder. Those passions, along with his enjoyment of golf, led to many special friendships over the years. Tony and Carol loved travelling together, and he was blessed to spend time over the last few years at his two favourite places, Florida and England. He will be lovingly remembered by his wife of 50 years, Carol, his children, Nick (Anne), Mark (Gwen), and Debbie (Marshall), and profoundly missed by his eight grandchildren, Spencer, Cameron, Kiera, Tayllor, Madisann, Jordann, Gaige and Kayleen. He is survived by his mother, Winnifred, sisters Christine and Jean, and brothers Brian, David and Stephen. He was predeceased by his father, Frederick and his brother John. A celebration of Tony’s life will be held at St. John’s Anglican Cathedral, 135 Anderson Ave., on Wednesday, May 7, 2014, at 2:00 p.m., with a reception to follow. 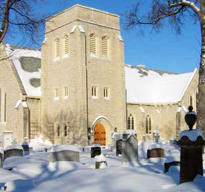 In lieu of flowers, donations may be sent to CancerCare Manitoba or St. John’s Anglican Cathedral.